The ninth edition of DocumentaMadrid — the international festival covering documentary cinema in the Spanish capital — will begin tomorrow, April 30, and run through May 11. This year’s festival will include more than 70 titles and 120 projections, with more than 60 professionals, directors, producers and, in some cases, “protagonists” of the real stories visiting DocumentaMadrid to talk about their films and experiences. DocumentaMadrid will get underway with the Spanish premiere of “The Armstrong Lie,” a take on cyclist Lance Armstrong by Oscar-winning director Alex Gibney. The festival will include the popular Chats in La Cantina from May 2 to 9. The chats, where “all the guests of the day will chat in an informal encounter with the public,” will take place in the Cantina of Cineteca. These chats offer spectators an opportunity to share their own experiences with a variety of distinguished guests. Admission is free while seats are available. In addition, Swiss director Fernand Melgar will offer a MasterClass on May 3. Admission to this event is free of charge. 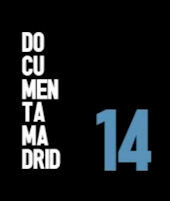 For more information regarding DocumentaMadrid, head to www.documentamadrid.com/es.